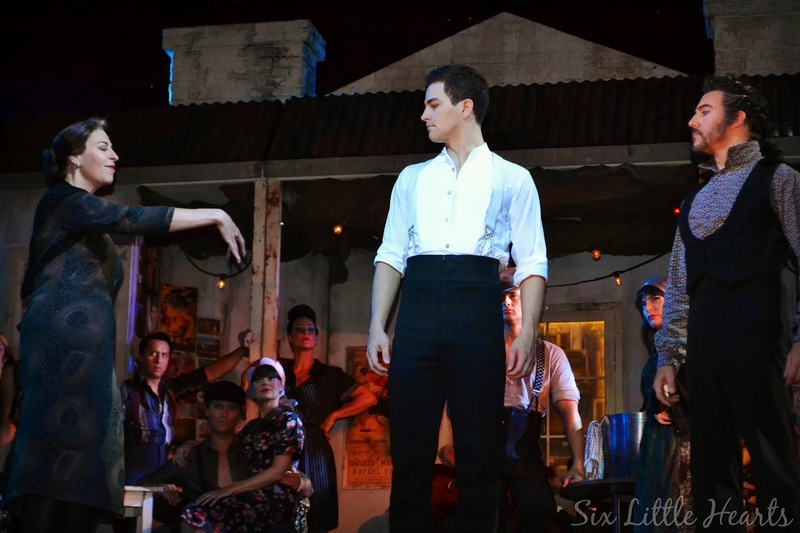 Very recently, I was offered the exclusive opportunity to attend the media call for the Melbourne stage production of Strictly Ballroom The Musical, currently playing at Her Majesty's Theatre. 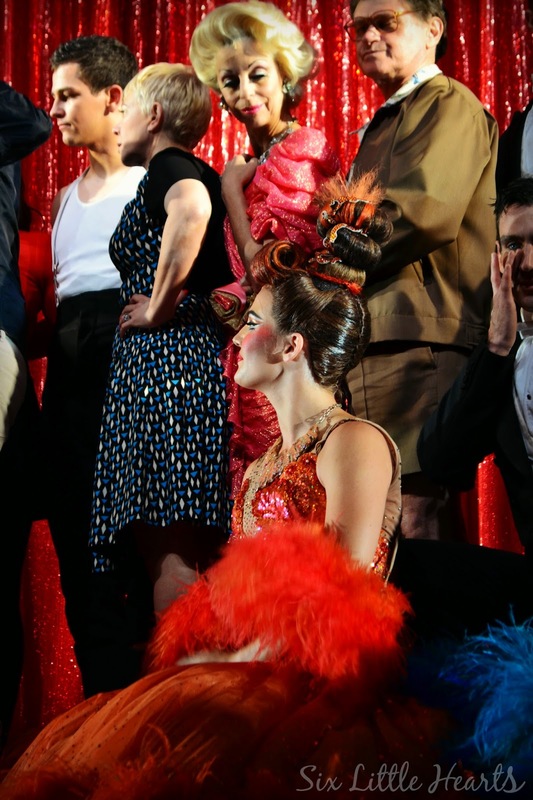 Myself, along with a handful of other bloggers and general media were lucky enough to catch a glimpse of this spectacular musical production both front of house and behind the scenes. We were able to meet the cast and take photographs. 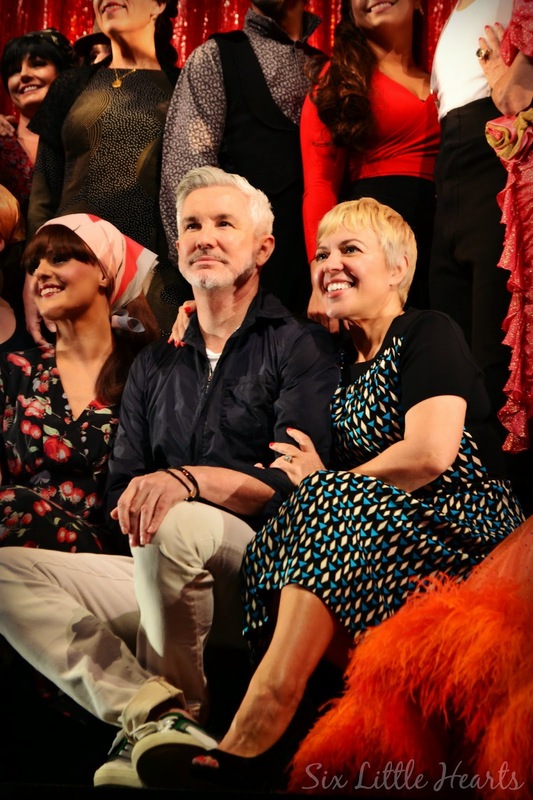 The media call was an exciting two hour event, punctuated by talks from the talented and multi award winning Australian Director, Baz Luhrmann and his award winning set and costume designer partner and Wife, Catherine Martin. During the exclusive session, Baz offered up some of the intriguing background to the sensational movie by the same title. 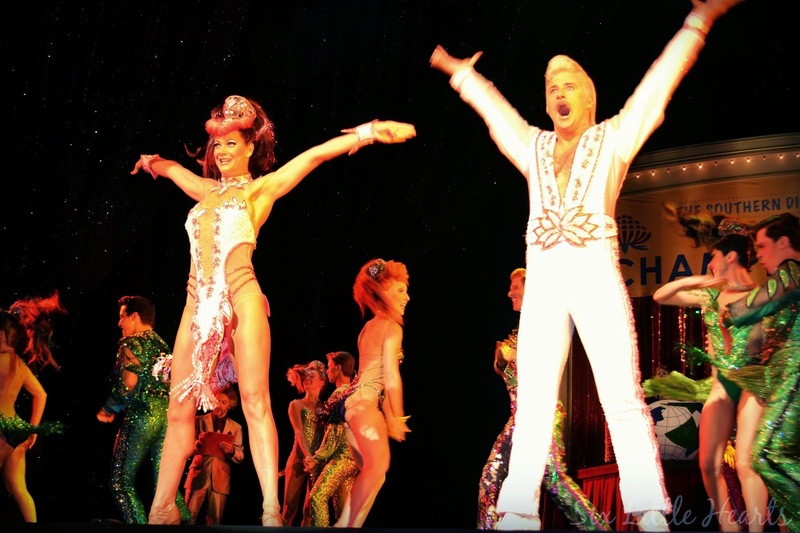 If you've somehow missed the fabulous movie Strictly Ballroom (1992), then perhaps you are well acquainted with some of the other huge features by this same duo, who are responsible for several notable box office blockbusters including Romeo and Juliet, Moulin Rouge, Australia and most recently, The Great Gatsby. 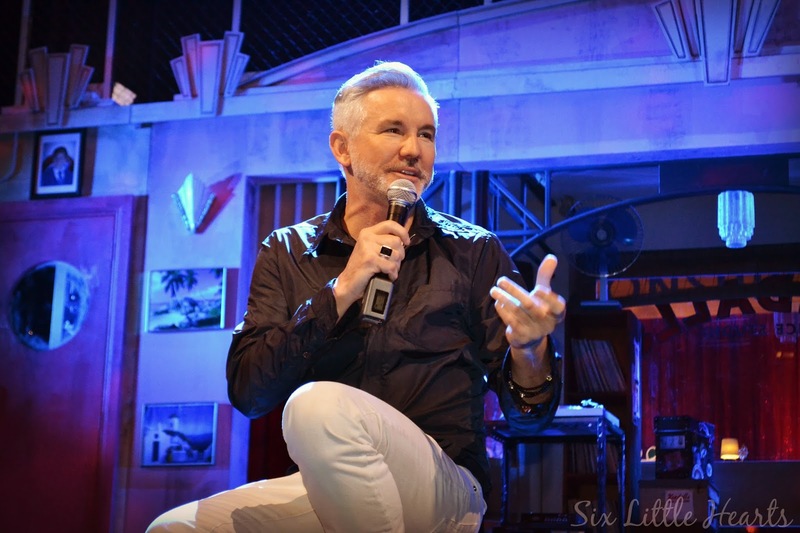 During our informative and exciting session, Baz reflected on his childhood, his time at NIDA, where he studied dramatic arts and the birth of the Strictly Ballroom phenomenon, which began as a 40 minute play in his student days, loosely based on his own childhood experiences as a competitive ballroom dancer. Attendees were treated to three breathtaking performances from the show which were each repeated twice over: Once to photograph and once just to sit back and take it all in! Wow! It's been a while since I'd seen the movie but it all came back to me quickly watching these memorable scenes and hearing the unforgettable songs. 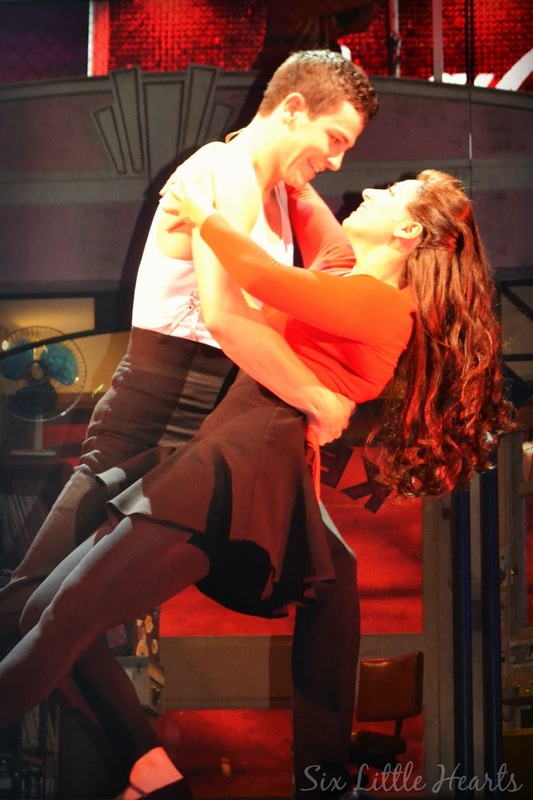 Here, cast leads Scott Hastings, (played by Thomas Lacey) and Fran (Phoebe Panaretos), fall for one another to the tune of Time After Time. Incredible costumes, colours and unforgettable characters! 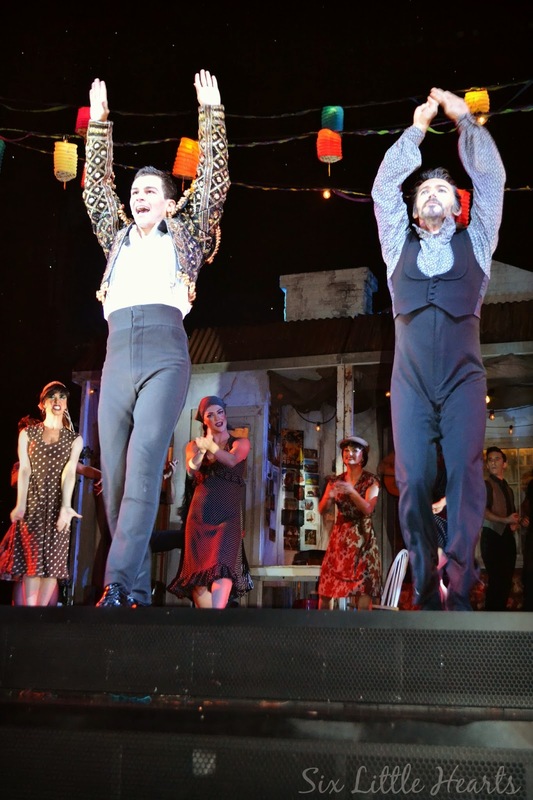 Below: Scenes from the sensational Spanish song and dance segment. This part was a personal favourite in the movie and was absolutely incredible to witness live on stage! 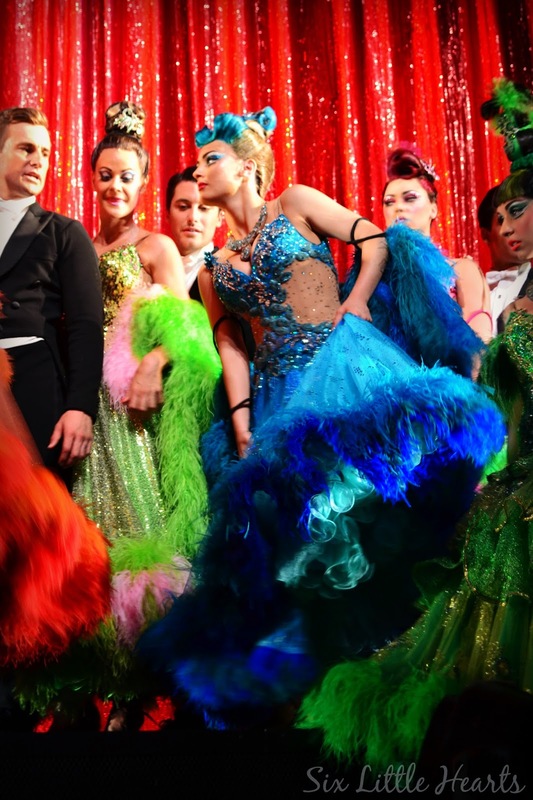 This stage show has all the hallmarks of movement and colour Baz Luhrmann's movie direction is famous for. After our glimpse of the show, it was time for more photographic opportunities and questions, set against the backdrop of this incredible, sparkling red curtain worth thousands of dollars. 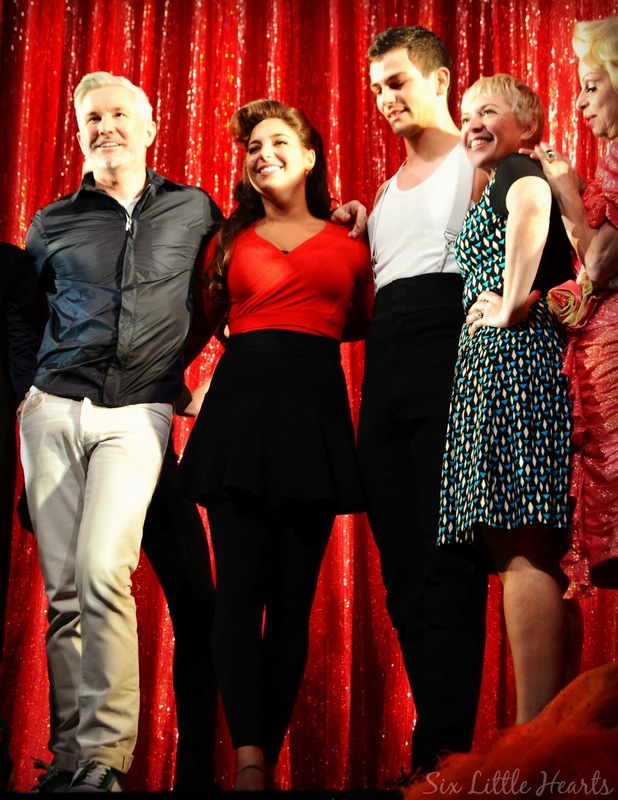 Baz Luhrmann, Phoebe Panaretos, Thomas Lacey and Catherine Martin. 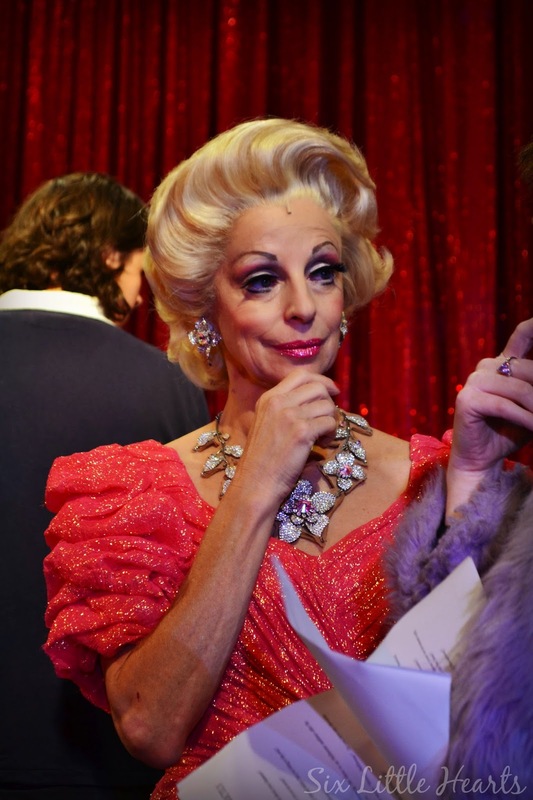 While Baz was interviewed by the media at the conclusion of the event, we were escorted backstage for an exclusive behind-the-scenes peek at the world behind the curtains of Her Majesty's Theatre. 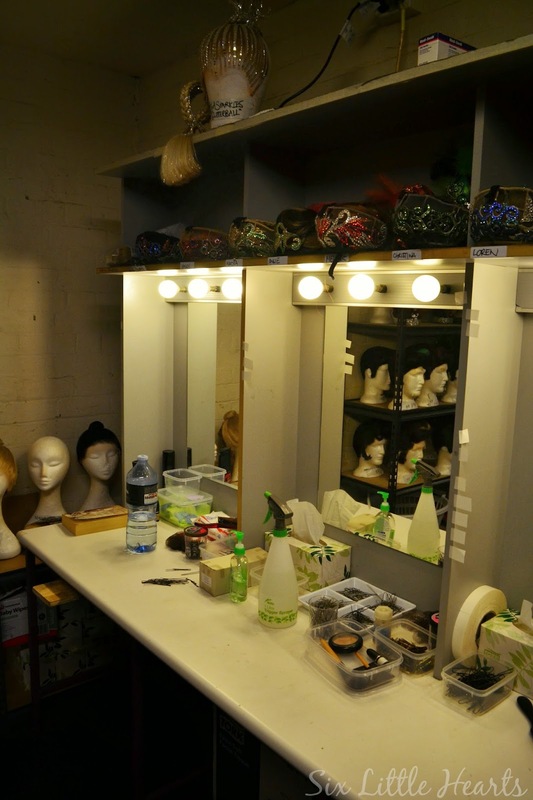 The tiny makeup space responsible for creating the magical and glamorous look of the production and a glimpse of some of the extensive wigs and hairpieces worn by the cast. 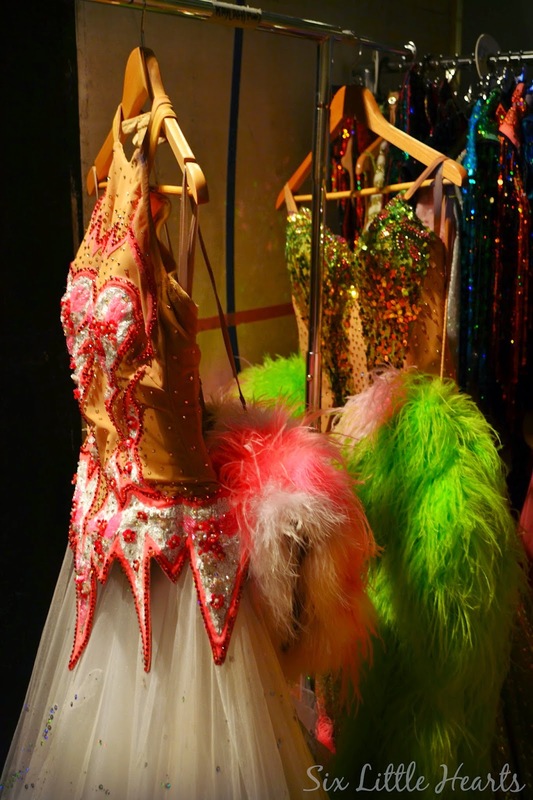 Catherine Martin's magnificent ballroom gowns rest, post-performance in the wardrobe area. Her Majesty's Theatre, Melbourne. Directed by Baz Luhrmann. 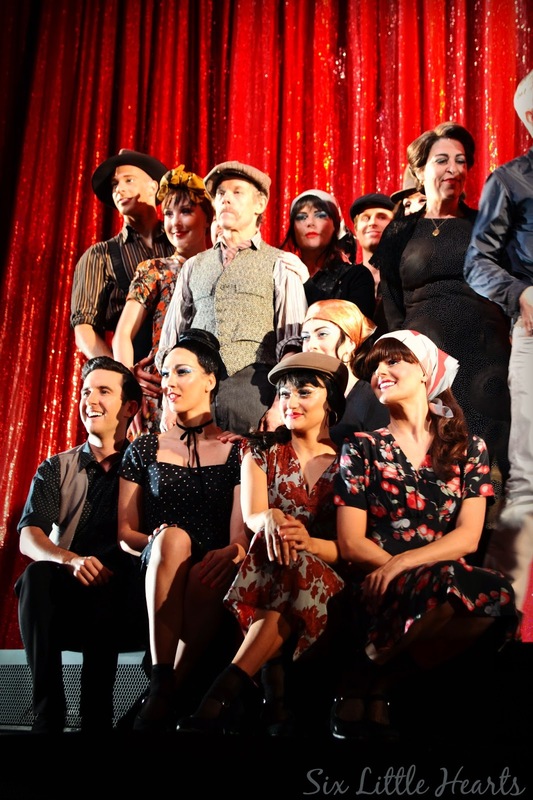 Purchase tickets to the Melbourne show of Strictly Ballroom The Musical here. Playing for a strictly limited season. Don't miss this! Image courtesy of Sweet Words Pretty Pictures. with thanks to Nuffnang Advertising. as a guest of Nuffnang this evening - thank you! It was! Loved this event! Looks great - glad you enjoyed it. What fab costumes. Wow, it looks great! 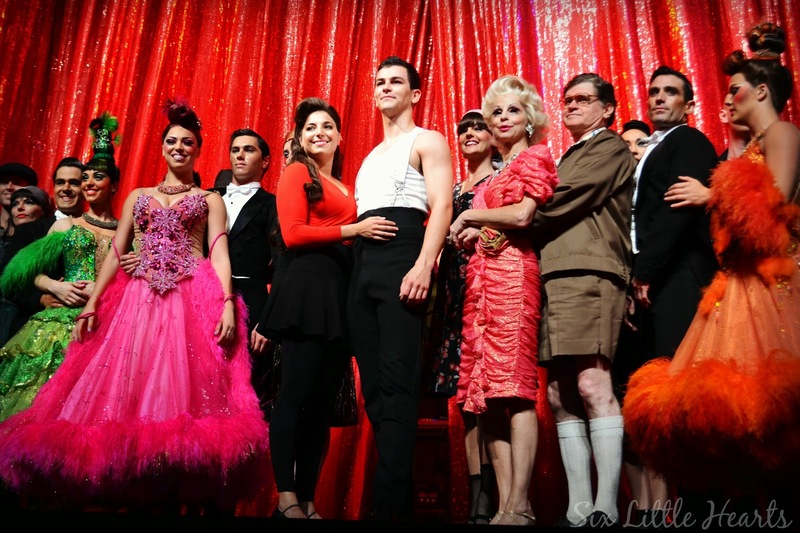 Strictly Ballroom was one of my favourite movies, I can even remember going to the cinemas to watch it with my Mum! Wow! What a fabulous opportunity! I've seen the movie several times - would love to see the musical version! It was just gorgeous with some striking scenes. I may have to go again! You must see this or the movie version Kylie - it's distinctly Australian. What a fabulous opportunity to see behind the scenes. And I am loving that curtain! It's stunning isn't it! 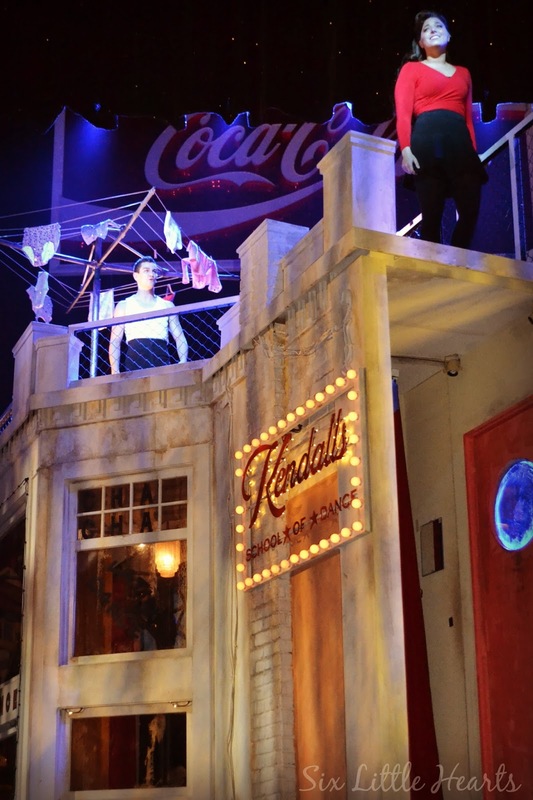 It is so lush and the perfect backdrop for this stage musical. What a great opportunity. Being at a musical is one of my happiest places on earth. I don't have interest in watching the movie but I would watch this live. It's looks spectacular. I'm such a big fan of Baz! What an inspirational human being. I'm glad you got to have a fun night out! Spoiled! I have the songs on a loop in my mind today...and I am enjoying them muchly! What an amazing opportunity! I am so jealous. I'm a huge Baz Lurhmann fan, and a huge musical fan. How lucky you were indeed! Can't wait to see the show myself. You will love this Jodi. I turned down an opportunity to be in the movie in some Melbourne scenes. (Baz personally chose me from my casting agent's books). I always regretted it! This event more than made up for it however. Second chances do come along after all! Make sure you see this! What an amazing opportunity! I would have loved to have seen that. The costumes look amazing. I hope they come to Brisbane! It is a wonderful show Renee. I hope you get the chance to see it too. Every Australian should - it's so 'local' with characters that are uniquely Australian. I'm hoping there will be something similar for bloggers when this show comes to Perth. Can't wait. What an awesome event to be invited to as a blogger!!! Thanks for linking on The Oh My Heartsie Girls WW this week!!! What great pictures! It looks like it was such a fun time too! Thank you for linking up with us at the Oh My Heartsie Girls Wordless Wednesday Link Party! You got some amazing photos. I saw you at a distance on Tuesday night but didn't get a chance to say hello, wasn't it a fabulous show! Great post! Wasn't it a fabulous experience! Lovely to meet you...and wasn't the whole show incredible!